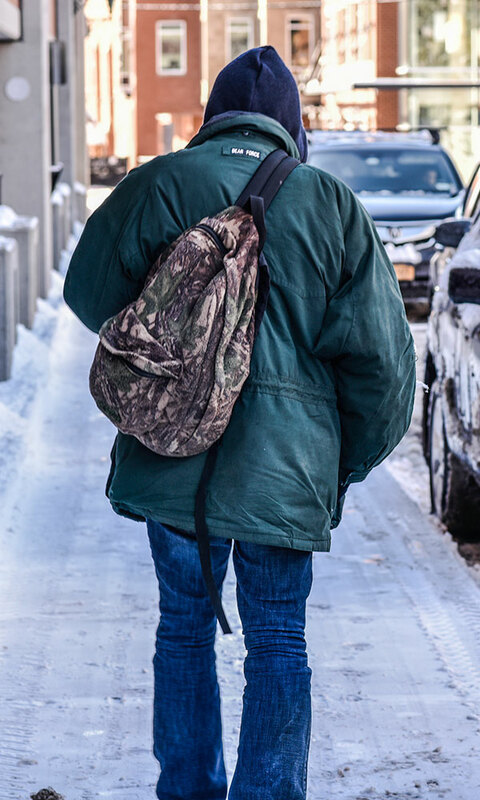 As you know, I’m now writing a regular column for saratoga living, shedding light on Saratoga Springs’ growing homeless population—and doing my best to put a human face on some of the “people without homes” that I’ve had the pleasure of meeting throughout the years. You met Grace in my last column; now, let me introduce you to Kevin. I recently sat down with the nearly six-foot-tall gentle giant to talk about his life and experience with homelessness. He had a kindness about him that was really heartwarming, and I think his story will resonate with you. Born in 1959 in Corinth, NY, Kevin describes his upbringing as happy and normal. He was born into a large family with very kind, hardworking parents. They had a nice, simple home in Greenfield, NY, where all of the neighborhood kids would congregate. He describes his father as a big, strong man with an equally strong work ethic, who had served in the military and went on to work for the Saratoga County highway authority, while his mother stayed at home to raise the family. 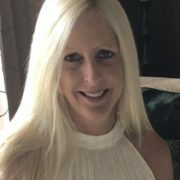 She was a normal mother in every sense, insisting that her children eat breakfast every morning before they got on the school bus and having them lend a hand in the family’s vegetable garden after school. (Kevin wasn’t a fan of weeding, so he learned to drive his parents’ tractor instead.) The family’s garden was not only a source of after-school chores, but also one that provided for the family itself: Kevin and his siblings would help their mother can vegetables and make homemade jams and jellies from the garden’s produce. Kevin says he learned his way around a kitchen from his mom; she felt it was important for all of her children to learn how to cook and clean. “We grew up tough [and] we grew up strong,” says Kevin. While in high school, Kevin maintained a C average and felt like he’d have a better chance of succeeding in the workforce, so he dropped out after the tenth grade. Over the years, he held a variety of jobs at restaurants, hotels, construction companies and even did some horse logging. He built himself a camp in the woods and split time between there and his parents’ home. Although he loved spending time with his friends, he also enjoyed the company of his parents and their friends. His mother and father never drank or smoked even when they were socializing. The only recollection he has of his father drinking is an occasional sip of brandy in the winter months to fend off a cold. Unfortunately, he and his father were two different men. He started drinking heavily around the age of 17, while hanging out and partying with his friends, and that eventually spiraled out of control, leading to alcoholism. He got his first DWI just two years later. “Back then, they just slapped you on the wrist and sent you on your way,” he says, shaking his head. Despite his heavy drinking, he seemed to always be able to land a job. With a tenth-grade education, though, Kevin had difficulty finding work that would pay enough to cover his cost of housing, let alone his out-of-control drinking habit. In the years that followed, his drinking problem kept landing him in hot water, getting him a number of traffic tickets, a DWAI and a few more DWIs. At one point, he lost his driver’s license and did a handful of 30- to 60-day stints in the county jail. Eventually, his numerous violations added up to a felony for which he served three years in state prison. Now, for those of you thinking, “Why doesn’t this guy just quit drinking and get a job?,” it’s easier said than done, Kevin tells me. He looks down and says, “They just don’t understand.” He explains that it’s a daily struggle for anyone suffering from alcoholism, it’s especially difficult when you’re living on the street. “What else is there to do?” he asks, rhetorically. Last year, now 59, Kevin’s lifestyle started to catch up with him. He had a few pressing medical needs and realized that as much as he hated to admit it, he just couldn’t live like this any longer. Just like his father, Kevin’s a big, strong guy. He’s a true survivor, but he knew he couldn’t do it alone. He swallowed his pride and sought the help he needed. 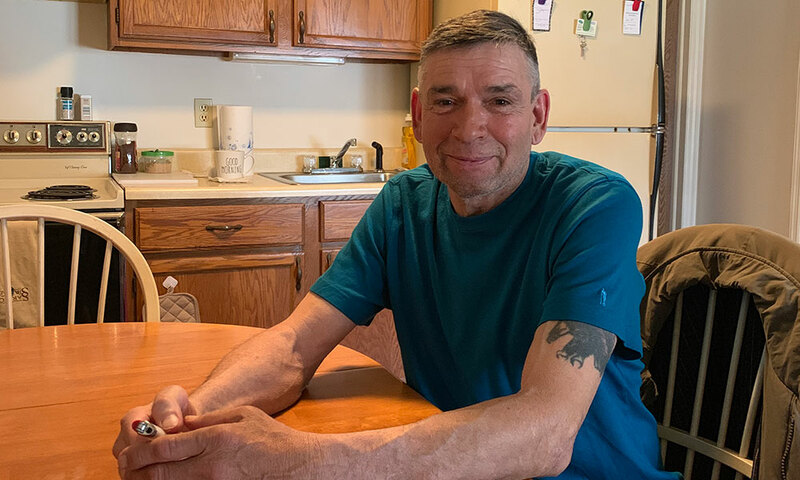 Kevin expressed sincere appreciation for Code Blue and Shelters of Saratoga—especially to their outreach program—for helping him have the strength to get back on his feet. 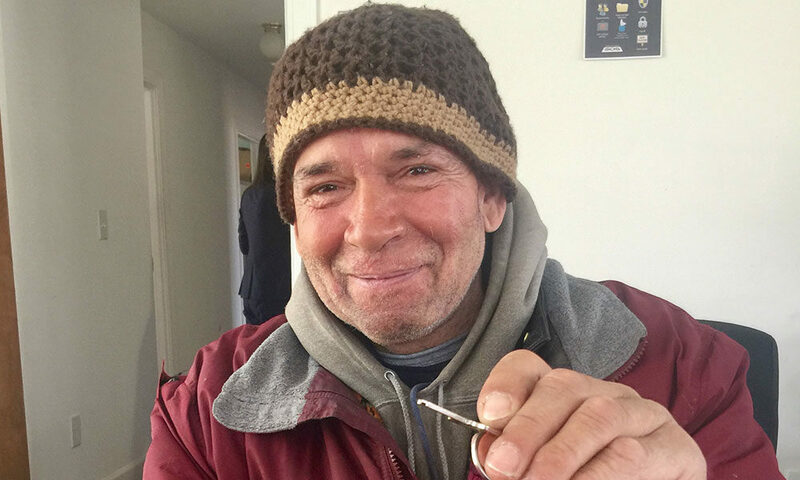 Now 60, Kevin’s recently sober and has moved into his own apartment. He’s settling in and actively looking for employment. When I ask him what he does to past the time in his new home, he says he enjoys reading Western novels by Louis L’Amour and watching old black-and-white Western films. “I still get the craving for whiskey—I’m a whiskey man—but here I am, back on track, before it’s too late,” he says. Everyone, especially me, is rooting for Kevin’s continued sobriety, and I think we can all recognize that the transition from living on the streets to having a home is a difficult one—and that battling alcoholism is both a daily and lifelong struggle. I can’t help but commend Kevin for having the strength to seek help, and he tells me that he hopes others will follow his lead. When I met with Kevin for the interview, at the end of our conversation, I thanked him for his willingness to share his story. He smiled and said, “Well, now you see me in a different light.” I do, Kevin. We all do.